Do not change what is not broken. 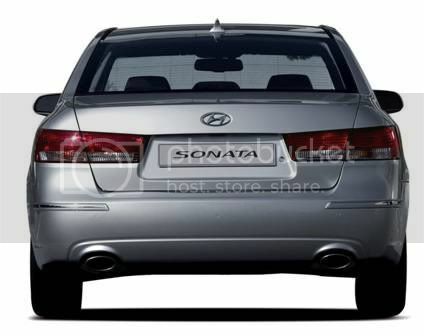 Hyundai designers took his saying to heart for the mid-cycle facelift for the best selling sedan on the Korean peninsula. The bumper, headlamps and radiator grille received some minor touch-ups, while new alloy wheels were added and the waistline molding, rear bumper and taillight clusters were adjusted to resemble the front design more than before. 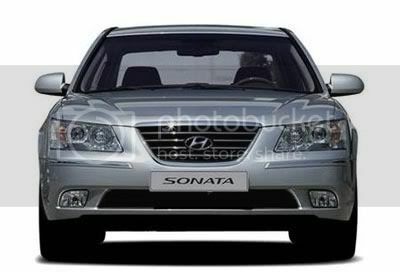 More drastic changes are found under the hood, as the Sonata Transform is the first model to receive the second generation Theta engine. The Theta II engine delivers more horsepower and improves acceleration while maintaining fuel economy, better yet it even improves mileage and lowers emissions. The performance boost has been attained through the addition of a variable induction system and a variable valve timing system. 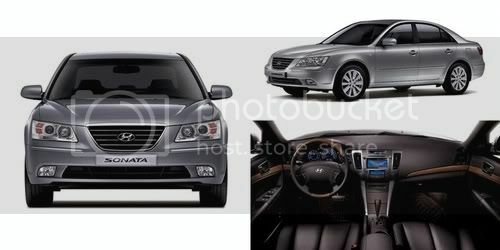 The interior has been redesigned to create a more upscale feeling through a new crash pad, new floor console and door trim.The new Sonata is on sale now in Korea, export models (which may differ slightly from Korean models) will start shipping early 2008. The car won't launch in the UK due to excess stock of the pre-facelift model. La vecchia Sonica è stata sempre molto anonima e perniente accattivante! La nuova I40 vista in rete invece mi sembra davvero una bella automobile: bella carrozzeria e belli gli interni! Con dei buoni motori diesel e con un prezzo competitivo può rappresentare una valida e più economica alternativa alle solite berline del segmento “E”. Mi riprometto di provarla e visionarla quando la presenteranno sul mercato, ma dalle anteprime apparse in rete debbo dire che a me piace. Credo che il mio parere sia di rilievo per i tecnici della Hyundai, poichè la I 40 rientra nel segmento di mercato di mio interesse, dato che negli ultimi 15 anni ho posseduto una Citroen XM, Alfa Romeo 166 e attualmente una Jaguar X-Type. Anon, this will rival the Citroen C5, Chevrolet Epica, Vauxhall/Opel Insignia, Ford Mondeo, Volkswagen Passat, Kia Magentis/Optima/Lotze, Peugeot 407, Toyota Avensis, Mazda6, Seat Exeo, Renault Laguna and Honda Accord.